Disney has Marvel and Star Wars, Warner Bros has DC and LEGO, and Sony has Ghostbusters and possibly Spider-Man. So it was only a matter of time before Paramount gets into the game by building a cinematic universe around their franchises, and they will start off with one of their more lucrative franchises: Transformers. The studio will hire Akiva Goldsman to help map out the new Transformers universe, and Michael Bay, Steven Spielberg, and Lorenzo di Bonaventura will act as executive producers/brain trust. More on this after the jump. The plan is to build connectivity with these films using sequels and spinoffs. The first four Transformers films acted as standalone features, but also stayed within that standalone universe. While Goldsman has been hired to spec out the Universe of the films, the report says he isn’t necessarily there to write out any one of the films. Bay had directed all four films, which all together have grossed $3.6 billion worldwide. However, he isn’t expected to return to direct Transformers 5, as he is currently working on directing the Benghazi siege drama 13 Hours. As the studio seeks to get the ball rolling on getting the universe built, they will likely want to have a Transformers 5 out soon, so waiting for Bay is an option. Seeing that the recent trend is to give all the films a universe, Paramount is making the same move. One simple way the studio could have expanded the universe even further is to tie the film in with their other successful franchise, G.I. Joe. However, Di Bonaventura shot down the idea earlier last year, by saying that there will be no such crossover. Still though, the two have crossed over in comics, so it’s only a matter of time before that is put on the table. What do you think? 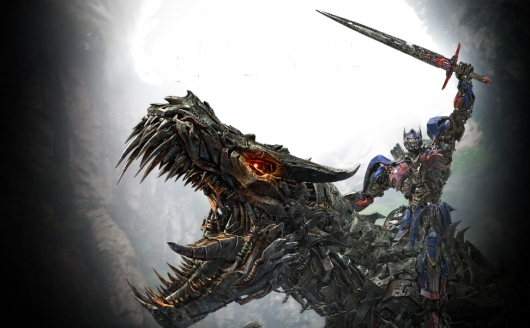 Does Transformers deserve a cinematic universe like Marvel, Star Wars, DC, and Ghostbusters?